I promised a giveaway to thank you all for helping me reach 500 followers on this blog, and 1001 followers on Twitter. Here it is and Thank you all for being my followers!! If you have any trouble entering, email me at LifeImitatesDoodles [at] gmail [dot] com. Well, that's one bad thing about Rafflecopter. I can see how many people entered, but not who entered. It is pretty easy to enter though, and if the options grayed out or went away, then your entry(s) was accepted. Thank you for entering and for passing on the word! The more the merrier! Interesting way to enter. Never know what gadgets are out there. I tried to put in a little of something for everyone, lol! Well, I'm not on Facebook or Twitter, but I did enter the give a way and answered a question. Congratulations Molossus on having so many followers of your great blog, and good luck to everyone who entered. Linda E.
Very awesome! Thanks for the great giveaway & fabulous blog! Ooh! What an amazing giveaway!! Thank you so much for the chance to win 🙂 i think you might be able to see who has entered through Rafflecopter by going to the Rafflecopter site and checking your active giveaways – there should be a “show list” button that will export the list for you. What a great giveaway! I don't use facebook does that mean I cant win or enter? Linda W–it was your Grandson that put a smile on your face? Your entry did work! Missham, you can enter using your email. Let me know if you have any problems. 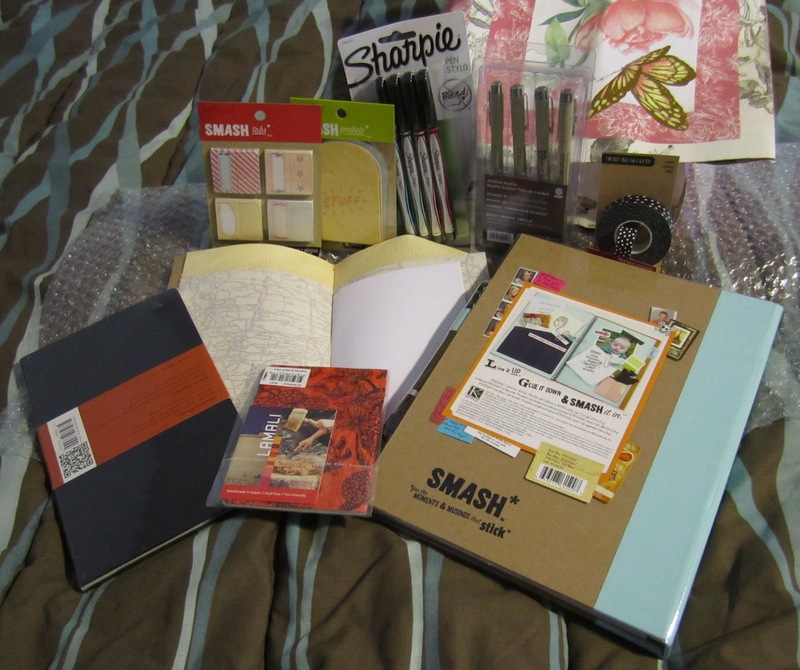 how fun…love books and pens and journaling and doodling!!! I love the blog candy1 And as a diehard crafter I would still be able to use that bag! hehe :0) Thanks for the chance to win such a great give-a-way! I have entered by using email cos I don't have Facebook or Twitter account. Well done for reaching those numbers:-) Look forward to your next milestones. Cool give-a-way. Thanks for the chance to win. How fun! Thanks for all the interesting things you share and the fun opportunities to win cool stuff! I think I entered, and answered a question. I hardly ever use facebook and don't know anything about twitter, but I love your website, and am now a follower. I love all your tangles you invented too. And watch you always on Flickr. Thanks for all your inspiration. Thank you all for entering, and for your lovely compliments! Wow – what a fabulously “rich” selection in this giveaway. I just Love the Moleskine Japanese style albums. there is something quite wonderful about the heavy creamy pages, and the idea that an idea can straggle on in an almost unlimited way. Thank you so much for all your wonderful art, your participation with us, with your team memberships in developing new products. All good stuff. Congratulations! and thank you for the excitement of a super giveaway. Sorry I don't twitter. But congrats Sandra to you and thank so much for the give away.